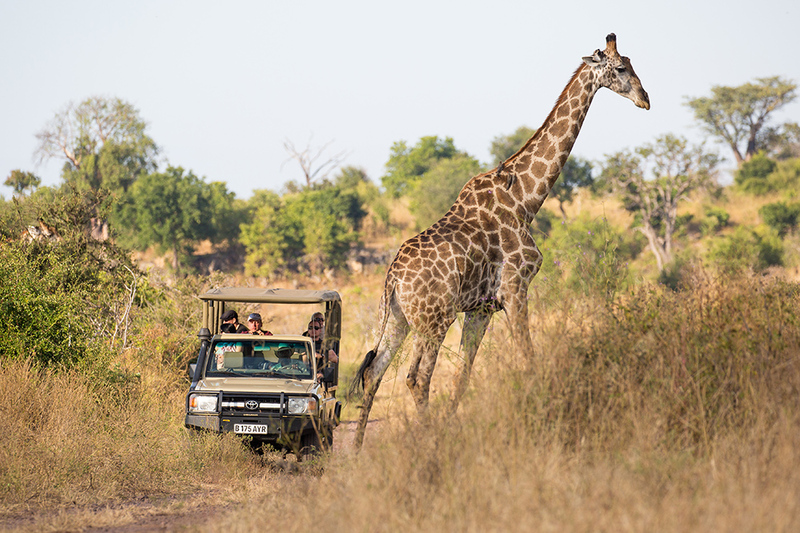 Expect a vast and diverse array of wildlife as knowledgeable guides take you on safaris through the Chobe National Park, lazy afternoons by the pool and stunning dinners under African stars. 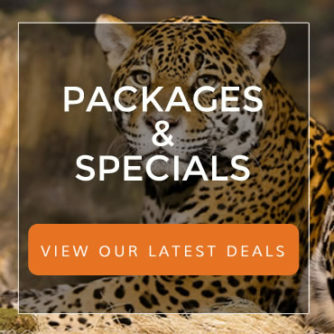 Additional activities include river cruises, night game drives, game walks (on request), local community visits and mokoro trips..
Want to make a bookin? See if there are rooms available. 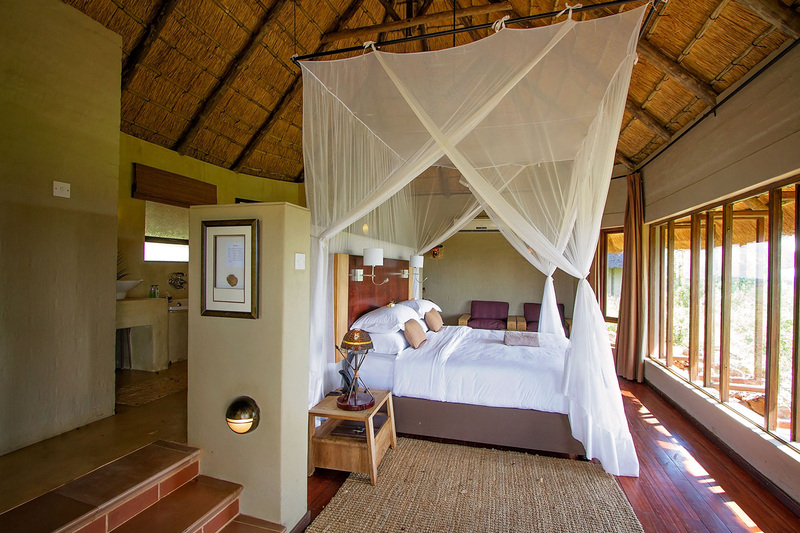 Each suite features a private outdoor shower, a ‘refresh and relax’ pool, a king size bed, an ensuite bathroom, with a walk-in rainfall shower and a luxurious bath. Two of the suites have sofa beds and may be used as triples. 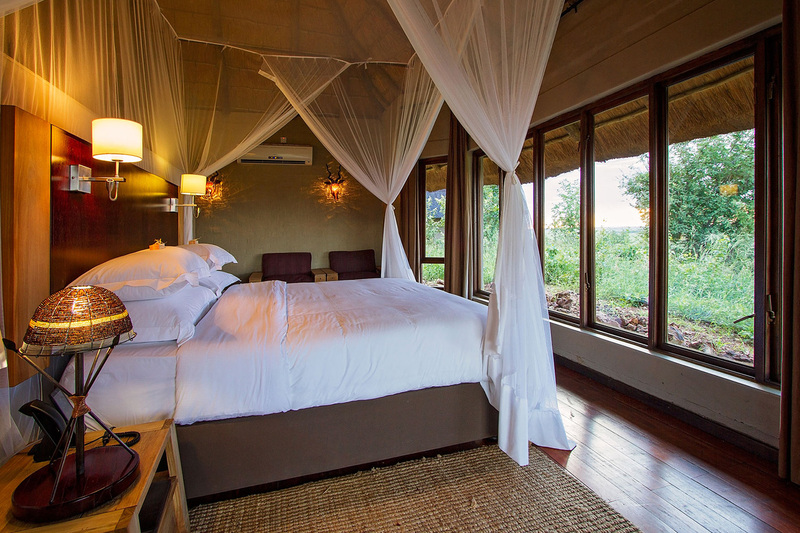 Ngoma Safari Lodge, built of natural materials which blend seamlessly with the surroundings, features a central area housing the lounge, dining room, bar and a plunge pool. 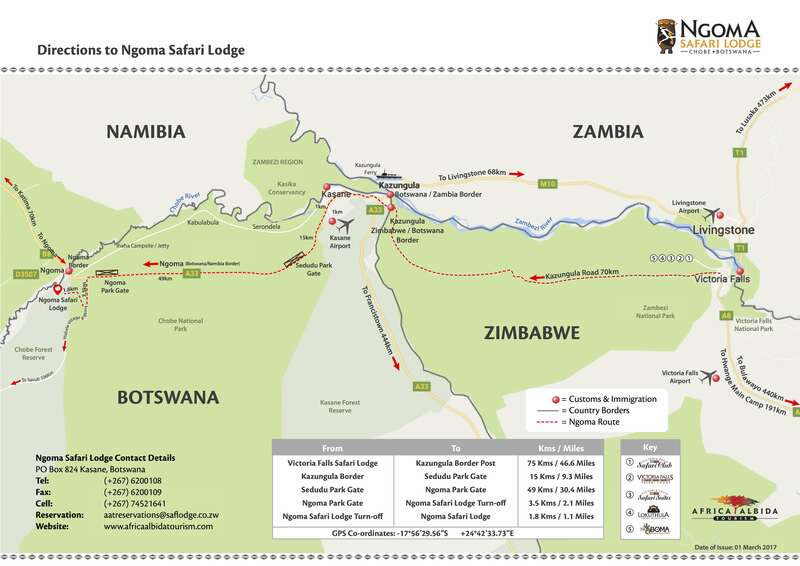 A well-positioned viewing deck provides a perfect setting from which to enjoy a beautifully prepared evening meal with views over a floodlit waterhole frequented by elephants, zebra, antelope and other game.